Luke Garroway: That was your father’s dagger. Luke Garroway: You didn’t know? Clary Fairchild: I had no idea. I… I chose this one, too. 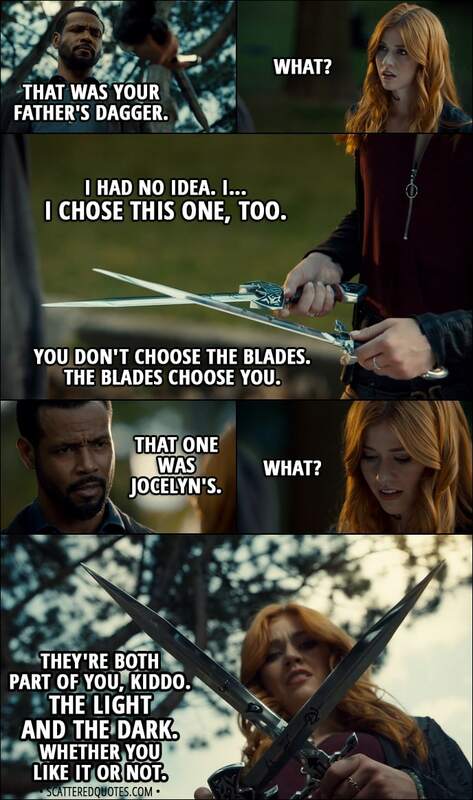 Luke Garroway: You don’t choose the blades. The blades choose you. That one was Jocelyn’s. Luke Garroway: They’re both part of you, kiddo. The light and the dark. Whether you like it or not. 22.3.2018 They’re both part of you, kiddo. The light and the dark.